Welcome to the Geography page. 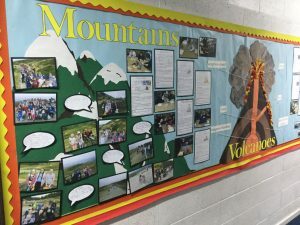 At Northcote, the teaching of Geography motivates children to find out about the world around them and enables them to recognise the importance of sustainable development. 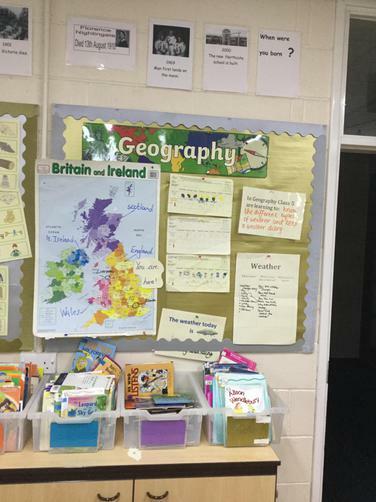 Through their work in Geography, children learn about their local area and compare this with other regions of the United Kingdom and the rest of the world. There is a focus on location and place knowledge as well as geographical skills such as using maps, atlases and globes. Through their growing knowledge and understanding of human geography, children gain an appreciation of life in other cultures. In addition, children will study a variety of physical features using subject specific vocabulary. 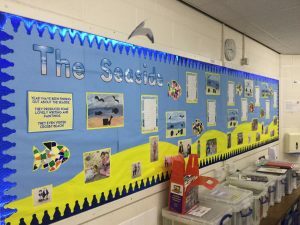 Children will collect and analyse data from a range of sources and communicate this in a variety of ways, including maps, numbers and writing. Where possible, the study of this subject is cross-curricular and children are provided with an understanding of what it means to be a global citizen. This will encourage a respect for other cultures and the environment. Implementation – Geography is delivered as part of the Citizens of the World Curriculum. Geography is delivered through discrete units taught termly throughout the school. Units are taught in rotation with other humanities subjects. Where appropriate, cross curricular links are made with other subjects. For example, children read and interpret graphs in Maths. Grid references, map skills and orienteering also use mathematical knowledge and link to P.E. Links to History are made through the study of World War 2 mapping the conflict in Europe. Opportunities to apply geography learning to extended writing tasks are utilised well, for example in year 6 children take on the role of a water droplet to explain the journey of a river. Children are provided with the opportunity to apply their skills and knowledge during field work activities and make use of working as ‘geographers’ in their local area. 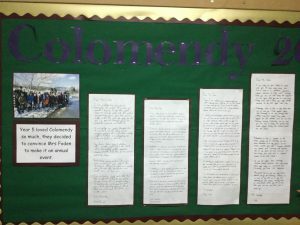 Furthermore, Year 5 visit Colomendy each year, providing the children with a fantastic opportunity to study beyond the local area. 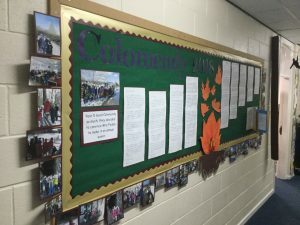 As the children move through the school, they follow the age-related expectations set out in the National Curriculum document. 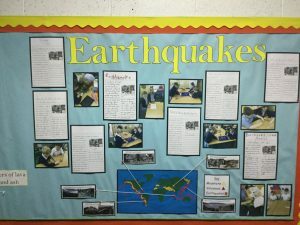 Display work stimulates learning and introduces children to key geographical vocabulary. 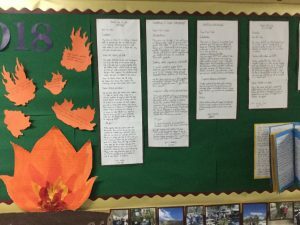 Proof of Progression (PoP) tasks are used to demonstrate children’s understanding of concepts and allow teachers to assess children’s learning. 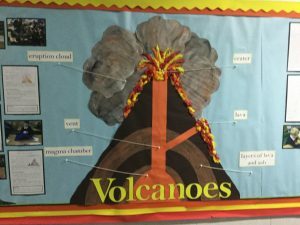 Classrooms are well resourced with globes, atlases and maps and teachers utilise the Royal Geographical Society (RGS) website for additional, quality resources. Our school works in collaboration with 6 other local schools; here the subject leaders meet and discuss aspects of the geography curriculum, sharing good practise and ideas for purposeful teaching and learning. In Geography lessons throughout the school, children are taught in mixed ability classes by their skilled class teachers. By allowing children to work with peers of different abilities and with different skill-sets, all children have equal access to the curriculum. In addition to this, all classes have access to support from a well-trained Learning Support Assistant (LSA). Within class, work is differentiated to ensure challenge and support at all levels. Differentiation is also demonstrated through adult or peer support as well as outcome. 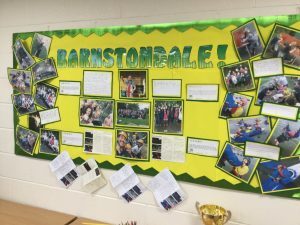 Staff are trained and receive regular updates regarding changes in the curriculum. Training is received through both internal and external providers to ensure the best provision for both our staff and our children. Children will revisit key concepts and skills on a two-yearly cycle which consolidates learning and demonstrates progression throughout the key stages. At the end of each unit in each year group, children are assessed against age-related expectations through both formative and summative methods. 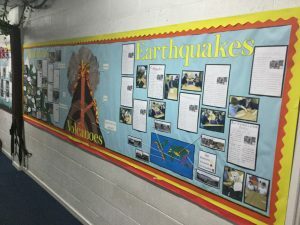 The Geography data at Northcote portrays a positive view on how children learn and how their geographical understanding can be applied in varying contexts in the real world.Subject and school leaders monitor the impact of our curriculum provision through completing regular monitoring, that includes listening to the voice of our children. 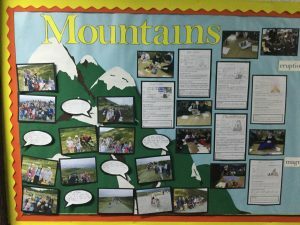 Autumn Term Geography displays: KS1 and EYFS. 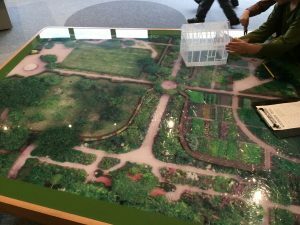 Year 2 recently went to Norton Priory and used a plan of the area to name the different parts of the Priory and to plot a route around its grounds. It gave our Victorian day a geographical focus.